Hey everyone, hope you’re all doing well this fine February (but seriously, can it be spring now? I’d really like it to be spring now). 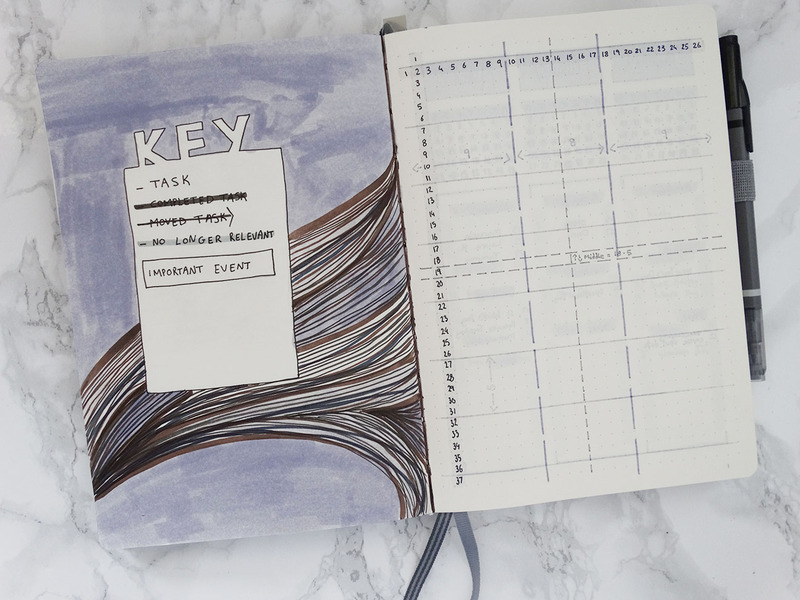 Well, last week with my bujo I showed you my (failure of a) 2019 title page so let’s focus this week’s bujo post on something a little harder to mess up – the index, because it comes pre-done in the planner! I’m sure I’ll find a way to mess it up but I haven’t so far. 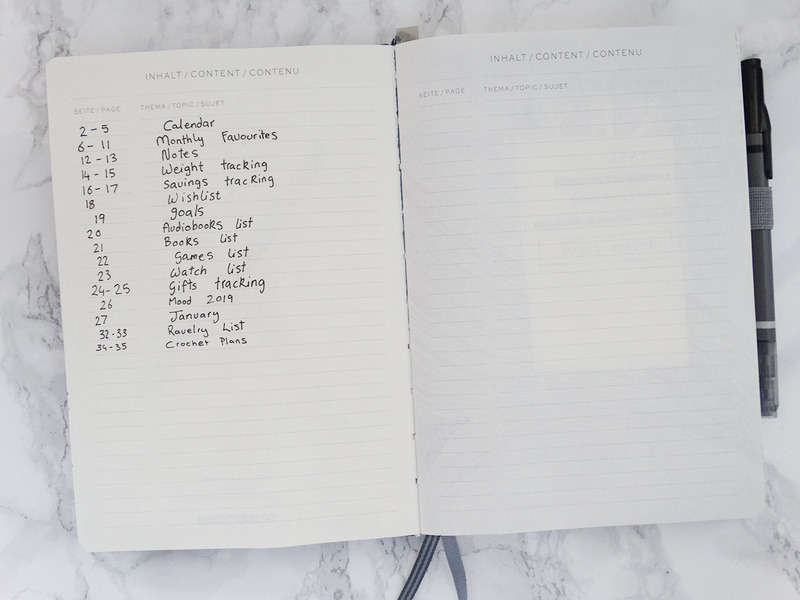 I don’t actually use the index all that much, I generally just have an idea of where the page I need is and flip through pages until I find it, but seeing as the Leuchtturm comes with index pages I might as well fill them in. My previous Leuchtturm had three pages for the index but this one only has two index pages so I’m not listing my weekly spreads here, just the monthly sections and my various lists which I’m putting on whatever page happens to come next so they kind of are all over the place. Now, keys, let’s talk about keys. I don’t really have a set system I use in my bujo, at least not a complicated one for different types of tasks and levels of completeness, so a key isn’t really essential for me…but I decided to include one anyway because I had a spare page before the dot grid pages started. My key doesn’t really look great but meh! The final page here is one a bit more useful than my key – I made a guidelines page. I’d seen people do guide pages before and they always seemed like a good idea but I never bothered making one myself for my previous bujo. With how I set up my 2019 planner, I ended up with this single dot grid page and making a guide page was a good use of it, just as something I can reference when I don’t feel like counting things out for every week. Basically, I numbered how many boxes there are down and across and using various shades of grey pen, I marked different ways I typically divide up the pages for my spreads. It’s handy for glancing at and it only takes up a page so I think it’s a useful addition to a bujo. So yeah, those are more of my bujo pages, those kinda boring pages that are there that you need to get passed to get to the planning part of a planner. I have the same notebook and I don’t think there are enough index pages, so I’m going to have to compromise too. I have a very simple key and I have also made some guide lines for dividing up the page. I used one of the tear out pages at the back. I expect my overflow index will have to go towards the back as well. I also test my pens on the back pages too.